The article reports the pressure to publish in such journals (vs. non-commercial journals) because of the tyranny of the impact factors. However, the reputation of those top-tier journals is not due to the action of the publishers, but rather to the excellence of their editorial boards; there is therefore no foreseeable long-term impact in moving from one editor to another for our favourite journals. Moreover, I think that the fact to publish in top journals is more relevant for the authors themselves than for the readers when the results are already circulating through a media like arXiv. Of course, having the papers evaluated by peers in a strict academic mode is of prime importance to distinguish major advances from pseudo-science; however the electronic availability of papers and of discussion forums and blogs implies that suspicious results should anyway be detected by the community. (I am not advocating the end of academic journals, far from it!, but an evolution towards a wider range of evaluations via Internet discussions, as for the DREAM paper recently.) The article also mentions that some funding organisms impose Open Access publishing. However, this is not the ideal solution as long as journals also make a profit on that line, by charging for open access (see, e.g., PNAS or JRSS)! Hence using another chunk of public (research) money towards their profits… My opinion is that everyone should make one’s papers available on-line or better via arXiv. And petition one’s societies for a tighter control of the subscription rates, or even a move to electronic editions when the rates get out of control. PS-Here is a link to an Australian blog, the Conversation, where some publishers (Wiley and Elsevier) were interviewed on these points. I will not comment, but this interview is quite informative on the defense arguments of the publisher! Here is my enthusiastic (and obviously biased) reaction to the theory that would not die. It tells the story and the stories of Bayesian statistics and of Bayesians in a most genial and entertaining manner. There may be some who will object to such a personification of science, which should be (much) more than the sum of the characters who contributed to it. However, I will defend the perspective that (Bayesian) statistical science is as much philosophy as it is mathematics and computer-science, thus that the components that led to its current state were contributed by individuals, for whom the path to those components mattered. While the book inevitably starts with the (patchy) story of Thomas Bayes’s life, incl. his passage in Edinburgh, and a nice non-mathematical description of his ball experiment, the next chapter is about “the man who did everything”, …, yes indeed, Pierre-Simon (de) Laplace himself! (An additional nice touch is the use of lower case everywhere, instead of an inflation of upper case letters!) How Laplace attacked the issue of astronomical errors is brilliantly depicted, rooting the man within statistics and explaining why he would soon move to the “probability of causes”. And rediscover plus generalise Bayes’ theorem. That his (rather unpleasant!) thirst for honours and official positions would cause later disrepute on his scientific worth is difficult to fathom, esp. when coming from knowledgeable statisticians like Florence Nightingale David. The following part of the theory that would not die is about Bayes’ contribution to the war (WWII), at least from the Allied side. Again, I knew most of the facts about Alan Turing and Bletchley Park, however the story is well-told and, as in previous occasions, I cannot but be moved by the waste of such a superb intellect, thanks to the stupidity of governments. The role of Albert Madansky in the assessment of the [lack of] safety of nuclear weapons is also well-described, stressing the inevitability of a Bayesian assessment of a one-time event that had [thankfully] not yet happened. The above quote from Dennis Lindley is the conclusion of his argument on why Bayesian statistics were not called Laplacean; I would think instead that the French post-war attraction for abstract statistics in the wake of Bourbaki did more against this recognition than de Gaulle’s isolationism. The involvement of John Tukey into military research was also a novelty for me, but not so much as his use of Bayesian [small area] methods for NBC election night previsions. (They could not hire José nor Andrew at the time.) The conclusion of Chapter 14 on why Tukey felt the need to distance himself from Bayesianism is quite compelling. Maybe paradoxically, I ended up appreciating Chapter 15 even more for the part about the search for a missing H-bomb near Palomares, Spain, as it exposes the plusses a Bayesian analysis would have brought. When coming to recent times and to contemporaries, Sharon McGrayne gives a very detailed coverage of the coming-of-age of Bayesians like Jimmy Savage and Dennis Lindley, as well as the impact of Stein’s paradox (a personal epiphany! ), along with the important impact of Howard Raiffa and Robert Schlaifer, both on business schools and on modelling prior beliefs [via conjugate priors]. I did not know anything about their scientific careers, but Applied Statistical Decision Theory is a beautiful book that prefigured both DeGroot‘s and Berger‘s. (As an aside, I was amused by Raiffa using Bayesian techniques for horse betting based on race bettors, as I had vaguely played with the idea during my spare time in the French Navy!) Similarly, while I’d read detailed scientific accounts of Frederick Mosteller’s and David Wallace’s superb Federalist Papers study, they were only names to me. Chapter 12 mostly remedied this lack of mine’s. The final part, entitled Eureka!, is about the computer revolution we witnessed in the 1980’s, culminating with the (re)discovery of MCMC methods we covered in our own “history”. Because it covers stories that are closer and closer to today’s time, it inevitably crumbles into shorter and shorter stories. 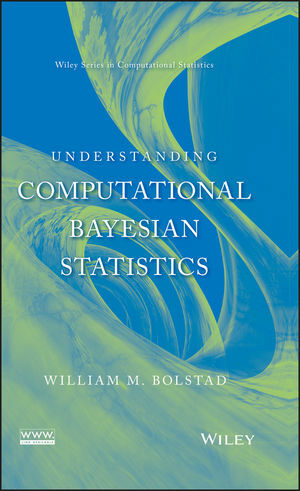 However, the theory that would not die conveys the essential message that Bayes’ rule had become operational, with its own computer language and objects like graphical models and Bayesian networks that could tackle huge amounts of data and real-time constraints. And used by companies like Microsoft and Google. The final pages mention neurological experiments on how the brain operates in a Bayesian-like way (a direction much followed by neurosciences, as illustrated by Peggy Series’ talk at Bayes-250). In conclusion, I highly enjoyed reading through the theory that would not die. And I am sure most of my Bayesian colleagues will as well. Being Bayesians, they will compare the contents with their subjective priors about Bayesian history, but will in the end update those profitably. (The most obvious missing part is in my opinion the absence of E.T Jaynes and the MaxEnt community, which would deserve a chapter on its own.) Maybe ISBA could consider supporting a paperback or electronic copy to distribute to all its members! As an insider, I have little idea on how the book would be perceived by the layman: it does not contain any formula apart from [the discrete] Bayes’ rule at some point, so everyone can read it through: The current success of the theory that would not die shows that it reaches much further than academic circles. It may be that the general public does not necessarily grasp the ultimate difference between frequentist and Bayesians, or between Fisherians and Neyman-Pearsonians. However, the theory that would not die goes over all the elements that explain these differences. In particular, the parts about single events are quite illuminating on the specificities of the Bayesian approach. I will certainly [more than] recommend it to my graduate students (and buy the French version for my mother once it is translated, so that she finally understands why I once gave a talk “Don’t tell my mom I am Bayesian” at ENSAE…!) If there is any doubt from the above, I obviously recommend the book to all the readers of the Statistic Forum! Deborah Mayo kindly sent me her book, whose subtitle is “Recent exchanges on experimental reasoning, reliability, and the objectivity and rationality of Science” and contributors are P. Achinstein, A. Chalmers, D. Cox, C. Glymour, L. Laudan, A. Musgrave, and J. Worrall, plus both editors, Deborah Mayo and Aris Spanos. Deborah Mayo rightly inferred that this debate was bound to appeal to my worries about the nature of testing and model choice and to my layman interest in the philosophy of Science. Speaking of which [layman], the book reads really well, even though I am clearly missing references to Mayo’s and others’ earlier works. And even though it cannot be read under my cherry tree (esp. now that weather has moved from été to étaumne… as I heard this morning on the national public radio) Deborah Mayo is clearly the driving force in putting this volume together, from setting the ERROR 06 conference to commenting the chapters of all contributors (but her own and Aris Spanos’). Her strongly frequentist perspective on the issues of testing and model choice are thus reflected in the overall tone of the volume, even though contributors bring some contradiction to the debate. A complete book review was published in the Notre-Dame Philosophical Review. with very high probability, test T would have produced a result that accords less well with H than does x, if H were false or incorrect. In Chapter 1, Deborah Mayo has a direct go at the Bayesian approach. The main criticism is about the Bayesian approach to testing (defined through the posterior probability of the hypothesis, rather than through the predictive) is about the catchall hypothesis, a somehow desultory term replacing the alternative hypothesis. According to Deborah Mayo, this alternative should “include all possible rivals, including those not even though of” (p.37). This sounds like a weak argument, although it was also used by Alan Templeton in his rebuttal of ABC, given that (a) it should also apply in the frequentist sense, in order to define the probability distribution “when H is false or incorrect” (see, e.g., “probability of so good an agreement (between H and x) calculated under the assumption that H is false”, p.40); (b) a well-defined alternative should be available as testing an hypothesis is very rarely the end of the story: if H is rejected, there should/will be a contingency plan; (c) rejecting or accepting an hypothesis H in terms of the sole null hypothesis H does not make sense from operational as well as from game-theoretic perspectives. The further argument that the posterior probability of H is a direct function of the prior probability of H does not stand against the Bayes factor. (The same applies to the criticism that the Bayesian approach does not accommodate newcomers, i.e., new alternatives.) Stating that “one cannot vouch for the reliability of [this Bayesian] procedure—that it would rarely affirm theory T were T false” (p.37) completely ignores the wealth of results about the consistency of the Bayes factor (since the “asymptotic long run”, p.20, matters in the Error-Statistical philosophy). 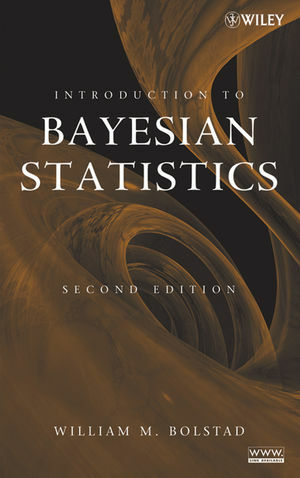 The final argument that Bayesians rank “theories that fit the data equally well (i.e., have identical likelihoods)” (p.38) does not account for (or dismisses, p.50, referring to Jeffreys and Berger instead of Jefferys and Berger) the fact that Bayes factors are automated Occam’s razors in that the averaging of the likelihoods over spaces of different dimensions are natural advocates of simpler models. Even though I plan to discuss this point in a second post, Deborah Mayo also seems to imply that Bayesians are using the data twice (this is how I interpret the insistence on same p. 50), which is a sin [genuine] Bayesian analysis can hardly be found guilty of! Somehow, I had missed the first edition of this book and thus I started reading it this afternoon with a newcomer’s eyes (obviously, I will not comment on the differences with the first edition, sketched by the author in the Preface). Past the initial surprise of discovering it was a mathematics book rather than an algorithmic book, I became engrossed into my reading and could not let it go! Numerical Analysis for Statisticians, by Kenneth Lange, is a wonderful book. It provides most of the necessary background in calculus and some algebra to conduct rigorous numerical analyses of statistical problems. This includes expansions, eigen-analysis, optimisation, integration, approximation theory, and simulation, in less than 600 pages. It may be due to the fact that I was reading the book in my garden, with the background noise of the wind in tree leaves, but I cannot find any solid fact to grumble about! Not even about the MCMC chapters! I simply enjoyed Numerical Analysis for Statisticians from beginning till end. While I am reacting so enthusiastically to the book (imagine, there is even a full chapter on continued fractions! ), it may be that my French math background is biasing my evaluation and that graduate students over the World would find the book too hard. However, I do not think so: the style of Numerical Analysis for Statisticians is very fluid and the rigorous mathematics are mostly at the level of undergraduate calculus. The more advanced topics like wavelets, Fourier transforms and Hilbert spaces are very well-introduced and do not require prerequisites in complex calculus or functional analysis. (Although I take no joy in this, even measure theory does not appear to be a prerequisite!) On the other hand, there is a prerequisite for a good background in statistics. This book will clearly involve a lot of work from the reader, but the respect shown by Kenneth Lange to those readers will sufficiently motivate them to keep them going till assimilation of those essential notions. Numerical Analysis for Statisticians is also recommended for more senior researchers and not only for building one or two courses on the bases of statistical computing. It contains most of the math bases that we need, even if we do not know we need them! Truly an essential book.